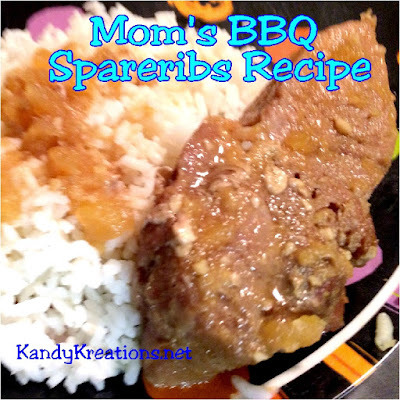 Enjoy a little bit of home cooking, with Mom's homemade BBQ spareribs. 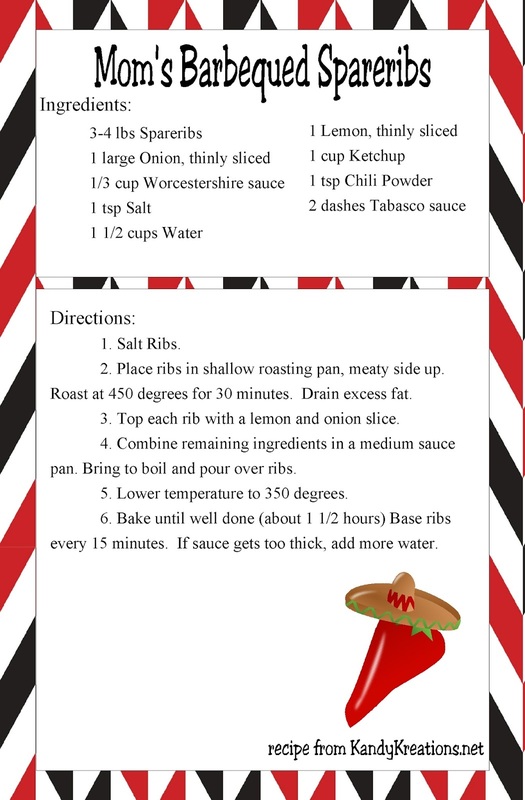 Add some creepy names and you have an easy recipe for a Halloween dinner party or a little bit of southern Home cooking any time of the year! There's nothing worth eating more than mom's homemade dinners. It's like a step back into childhood when there weren't bills to pay, kids to worry over, and work to be done. Somedays those everyday dinners really hit the spot. But then, other days, a Sunday dinner meal from home is the perfect thing to make everything just a little bit better. Or to creep your kids out. This week we had our Halloween Hocus Pocus dinner and a movie night with the family. I knew I needed something fun and creative to spook my kids into eating with me before all the bewitching sweets we had planned. So we had a fun dinner with "Man Meat" (ribs), "Maggot Pieces" (rice), "Monster Fingers" (carrots), "Witch Warts" (muffins), and Curdled Blood (red Koolaid). 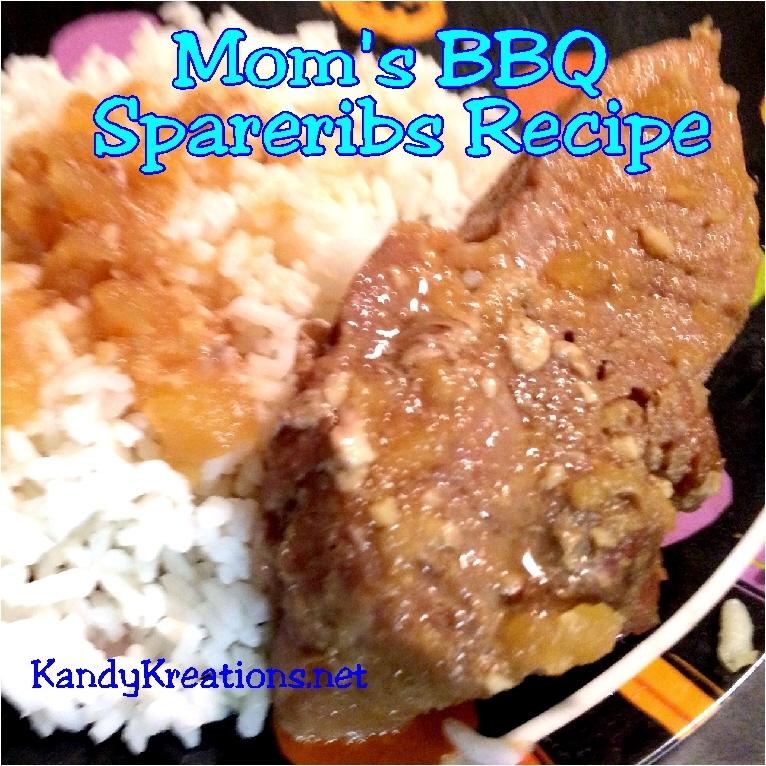 So I didn't do a good job at recording how I made Mom's Spareribs, but luckily it's pretty easy to follow the recipe card. Once you're done, enjoy them over a bed of "maggot pieces" or rice if you don't want to be too creepy this Halloween. Be sure to come back tomorrow and see the decorations on our dinner and a movie night!